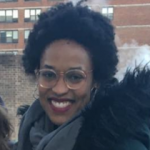 We all have our favorite authors, but every reader knows that there’s infinite space in our hearts and on our bookshelves for more writers with life-changing stories to tell. 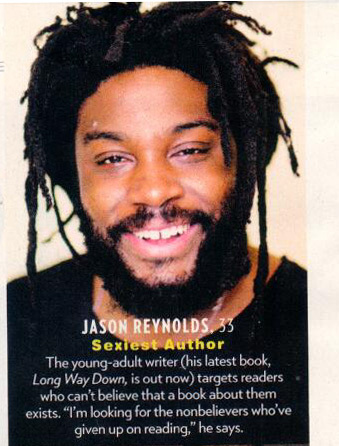 With that in mind, I would like to introduce you Jason Reynolds. 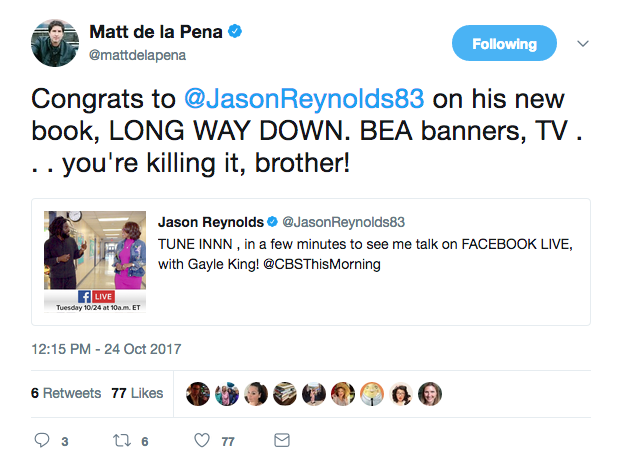 You might have heard his name before. 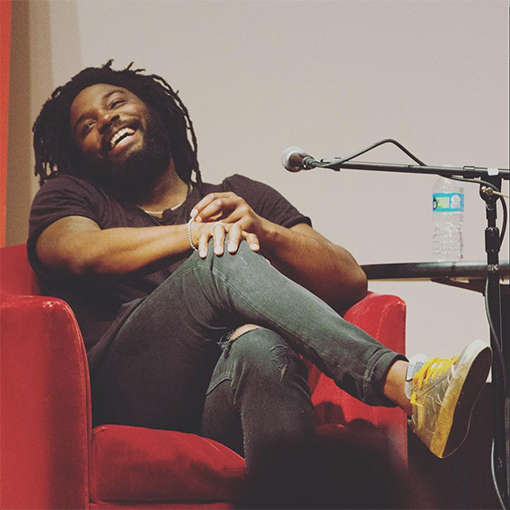 He is the bestselling and award-winning author of When I Was the Greatest, The Boy in the Black Suit, middle grade novels Ghost & Patina, All-American Boys, which he wrote with Brendan Kiely, and most recently Miles Morales, based on one of Marvel Comic’s celebrated teen heroes. 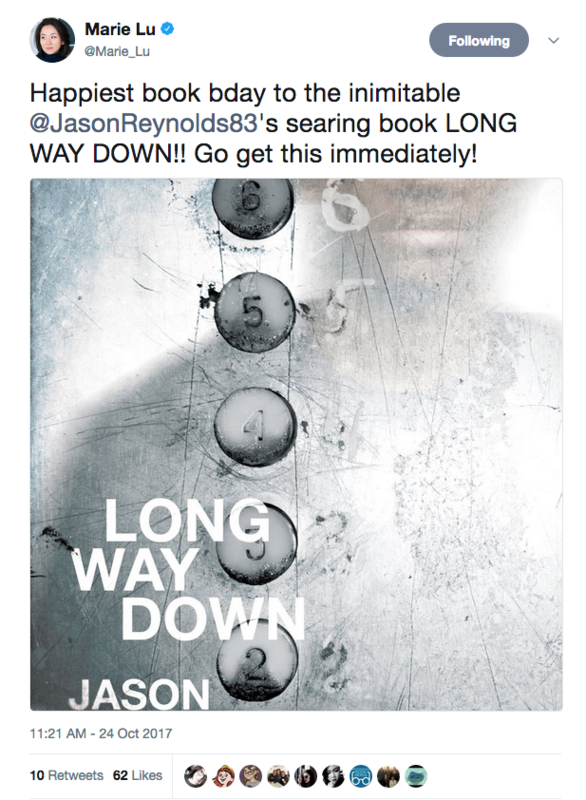 Jason’s new YA novel, Long Way Down, about the 60-second elevator ride that changes the life of a grieving boy trapped in a cycle of revenge, is an absolute must-read (psst…here are 5 Reasons to Read Long Way Down). 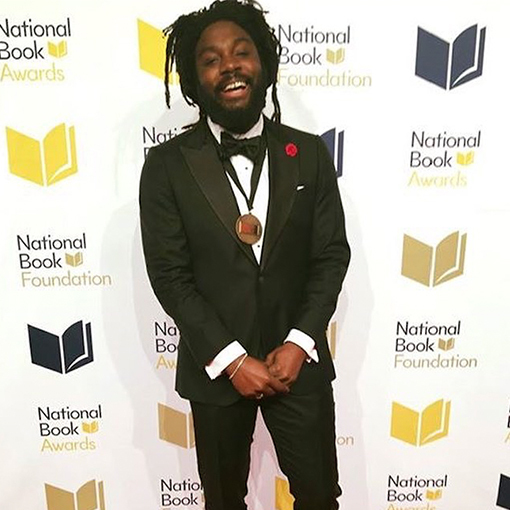 We adore Jason Reynolds, and you will, too. 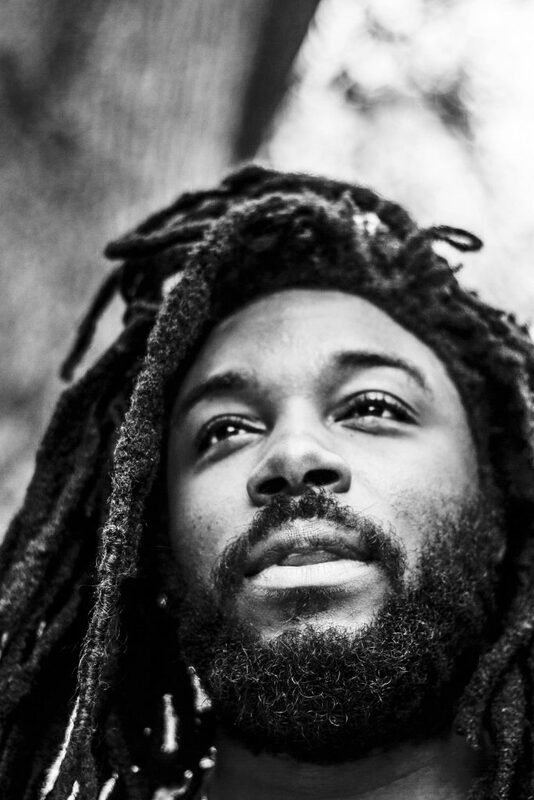 These are some reasons why you need to keep this incredible writer and his work on your radar. The media can’t get enough of him. Maybe you read the profile of him in last week’s People magazine? 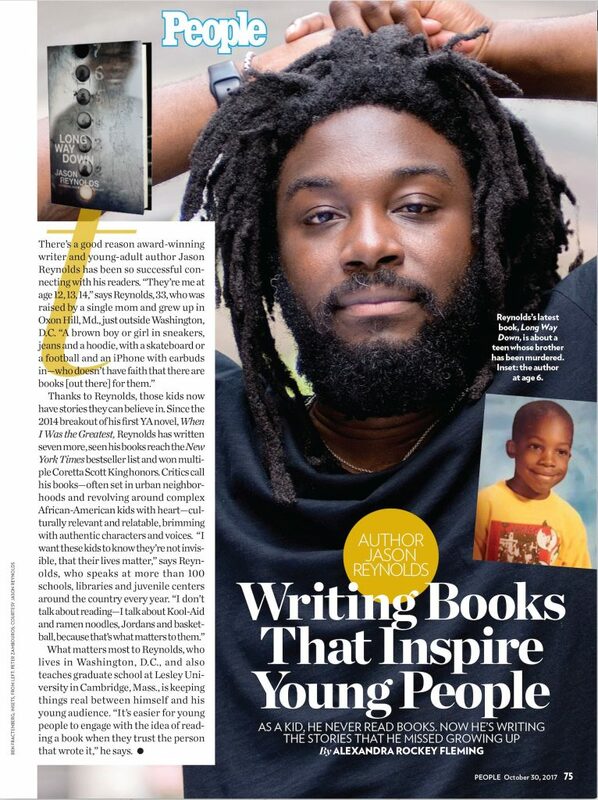 Or learned more about his writing journey in this in-depth Washington Post interview? Or watched him on Buzzfeed’s AM to DM? 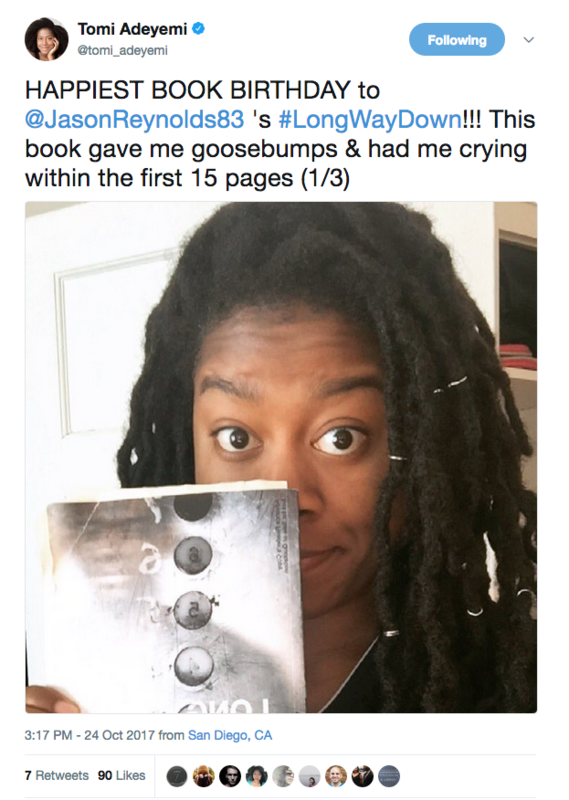 Your favorite authors love him, too! If only we could all be so effortlessly awesome in a black tee. And kids love him (this is particularly cool as children are GREAT judges of character)! 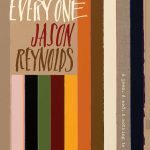 One theme you’ll notice in reading many of Jason Reynolds’s stories is the social hardships his characters face on top of the plot-related trials. Like many authors, he believes it is imperative for young people to see their authentic selves in the books that they read. 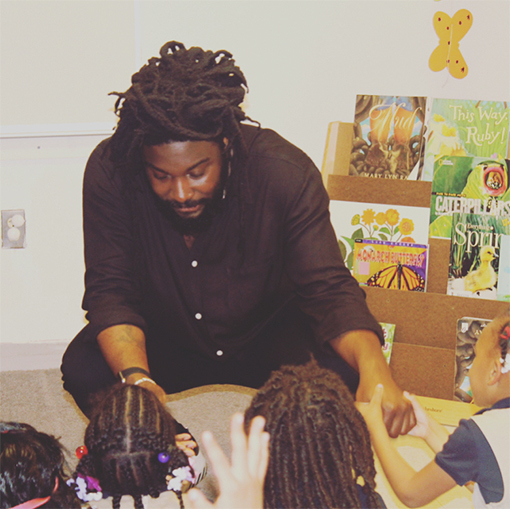 His work, like that of Angie Thomas, Jacqueline Woodson, and Sharon Draper, encourages young readers to participate in social engagement. 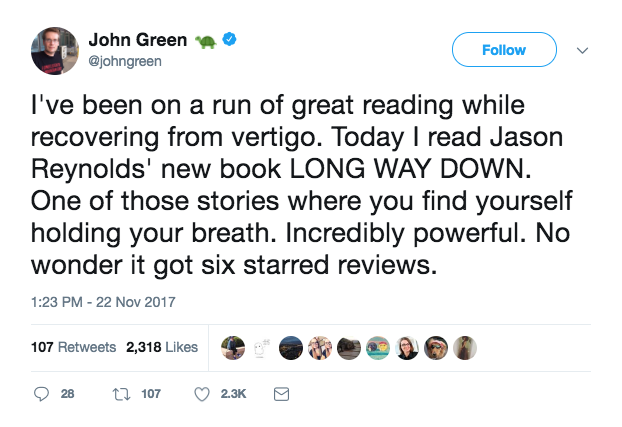 By the end of 2017, he will have more than ten novels published, and many of them have received starred reviews, and awards. 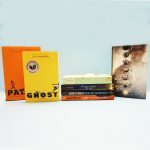 He has earned so many different awards for his work, including the Coretta Scott King Award, the John Steptoe Award for New Talent, and was a finalist for the National Book Award. Writing narratives is relatively new for Jason, but he’s been a poet from a young age. He refers to black poets and rappers in, like Yasiin Bey/Mos Def, Paul Laurence Dunbar, and Ralph Ellison. Check out his poetry blog. 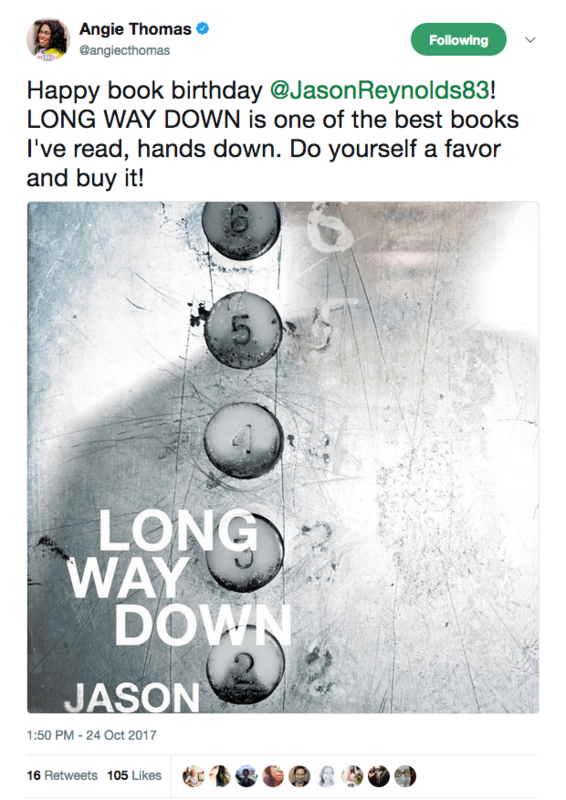 And get ready, because his first YA told in verse, Long Way Down, is available now! 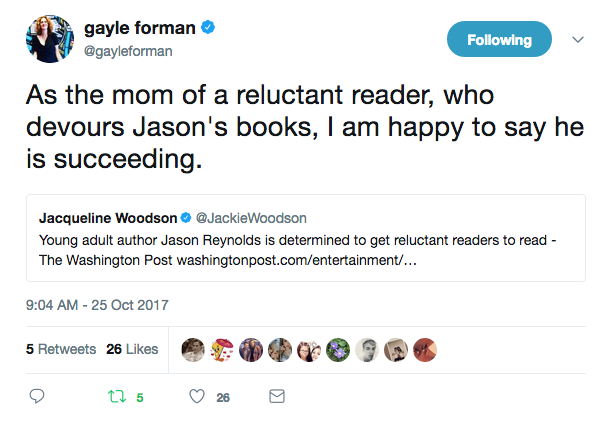 Jason has written books for both the Middle Grade and Young Adult age ranges, but they’re impactful stories that appeal to everyone. If you’ve never read Jason’s work before, then you may not know what I mean when I say his messages and writing style transcend typical age ranges. Sure, I would recommend a middle grader wait to read one of his YA books until they get a little older, but everyone everyone everyone who fits into the YA category and above will love both his YA and Middle Grade books. And I think that if you just read a sample of his work, you’ll know exactly why I’m saying this. 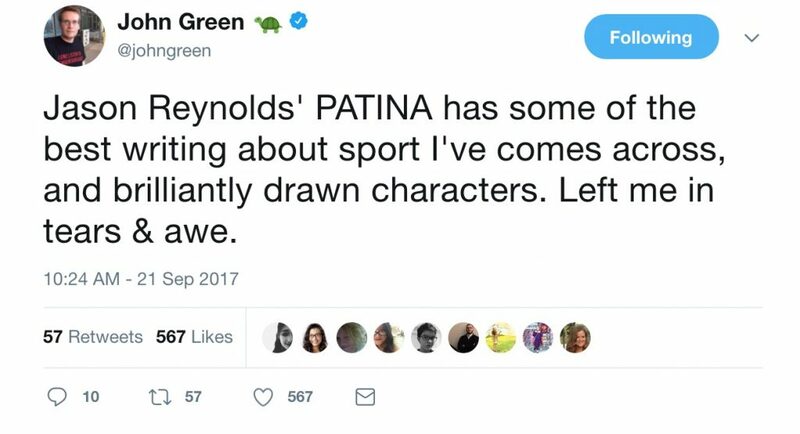 Take his first novel, When I Was the Greatest. It’s a moving story about three teenaged boys in Brooklyn, a tale that shows how one night can change your life (and not always for the better), but that it’s what you do in the aftermath that shows your community, and yourself, who you really are. Even though my childhood was different than the protagonist, Ali’s, I still understood so many of his hopes and fears as he navigates his place in his Brooklyn neighborhood of Bed-Stuy. I laughed, I cried, and I felt real gut-clenching fear as I read this book. So I picked up his other novels, and was not disappointed. 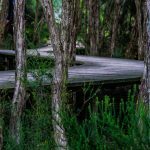 Jason’s writing captures you in such a way that turning to the next chapter is an obligation. They’ll change you life. And, in case you missed it, check out Jason’s brilliant interview with Trevor Noah on The Daily Show. 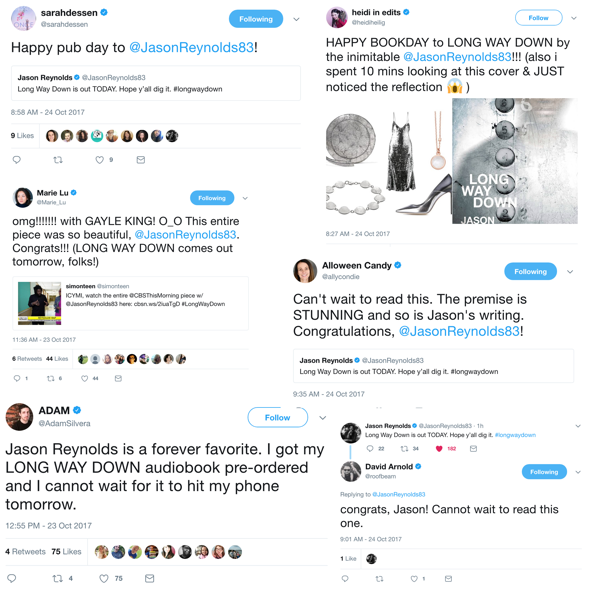 Long Way Down has also been awarded several honors!